The Trust would like to invite everyone to join us to celebrate the opening of the Luggate Creek Track on Sunday 30th May at 10 am at Harris Place in Luggate. Harris Place in is the new subdivision in Luggate and is accessed from Pisa Road. See track map for details. The Luggate Creek Track is the first part of our current projects to be opened and connects the Luggate Township into the track network. The track also provides access to Luggate Creek and limited access to the Devil’s Nook. We hope to be able to improve access to the Devils Nook later in the year as a further phase of this project. 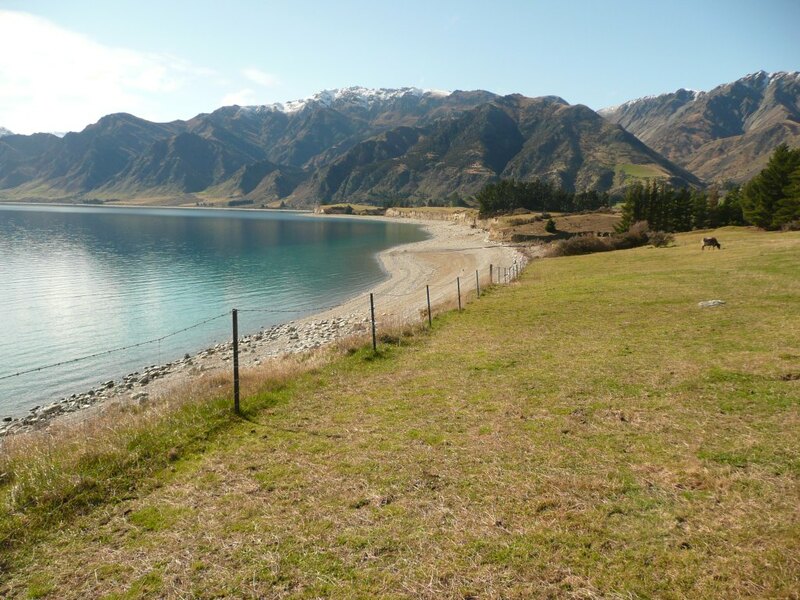 It is now possible to to walk or cycle between Luggate, Wanaka, Albert Town and Lake Hawea completely off road. In the near future, we hope to include the small community at John’s Creek into the network, and we are also looking at options to fully connect to Hawea Flat. In the longer term, our goal is to creaet a track all the way down to Cromwell and Clyde to connect with the Otago Central Rail Trail and the Roxburgh Gorge Track. The Trust is a registered Charity and funds its activities from grants and donations and support from the public and local businesses. The Trust welcomes support either by cash donations or the donations of skills and services and details of what even small donations can achieve can be found on our Help the Trust build Tracks page. The Trust is grateful for the support of the following groups for their financial support of the project. The balance of the funds have been provided by the Trust. The Trust is pleased to announce that after more than a year of fund raising we have finally achieved the full budget total of $291,617 for our latest track project. Our new project is the extension of the track network at both Lake Hawea and at Luggate. Lake Hawea to Johns Creek. This new section of track will run connect with the existing track through the the lakeside reserve and then run mostly along the cliff tops to the small settlement at Johns Creek. This will be of a similar standard to the Upper Clutha River Track, and will also form part of the Te Araroa long distance pathway. Planning for this section has been taking place for some time and we are currently waiting for a resource consent for a small section of track. We hope to start construction of some of this track in the next couple of months. Red Bridge to the Devils’s Nook and Luggate Township. This will extend the existing Upper Clutha River Track, downstream along the Clutha River to Luggate Creek where a new footbridge will cross the creek. Once over the creek a track will give access to the Devils Nook, a beautiful feature of the Clutha River and provide easier fishing access downstream. A track will also follow Luggate Creek up the township and the Luggate Pub for those who feel they deserve a drink after completing the track. Work has already started on constructing the track and bridge and we hope to be able to open this section in June. Work is currently underway to improve the surface of sections of the Upper Clutha River Track. John Sutton, who constructed the track for the Trust has been onsite repairing and improving some problem areas as part of the original construction contract. He has also been making some minor improvements identified by the Department of Conservation and funded by the Trust, mostly in respect of water tables to improve the drainage of the track. The Department of Conservation who have taken over management of the track have also been busy gravelling some of the more muddy sections as seen above. The Trust is pleased to anounce that the tender to construct the challenging section of the Clutha River Track below Haliday Bluff has been let to JW & AE Sutton Trading Trust with work expected to start early in the new year. John Sutton has recently completed the new section of the Glendhu Bay Track from the Mt Aspiring Viewpoint and new car park to Damper Bay and has also done the track improvement work on the Wanaka Millennium Track. 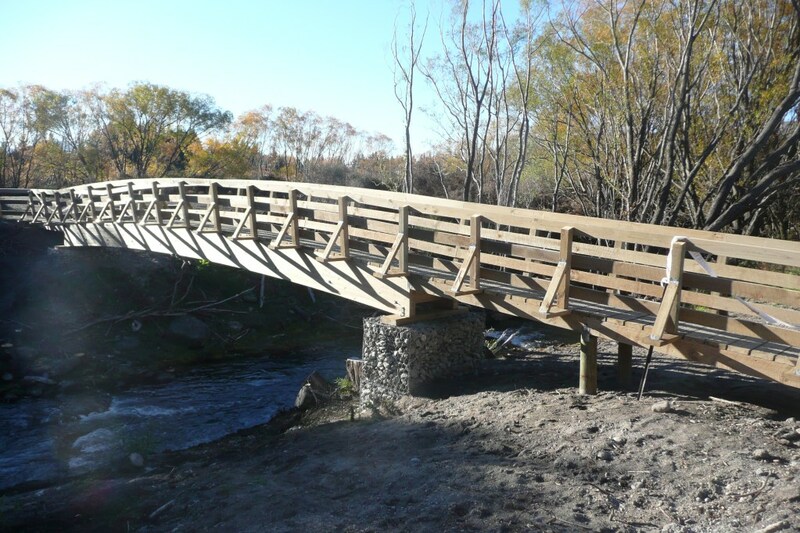 If you have walked or cycled along these tracks you will know the care and attention that he puts into his work and the Trust is confident he will make a great job of the Clutha River Track.